This is no ordinary banana bread! 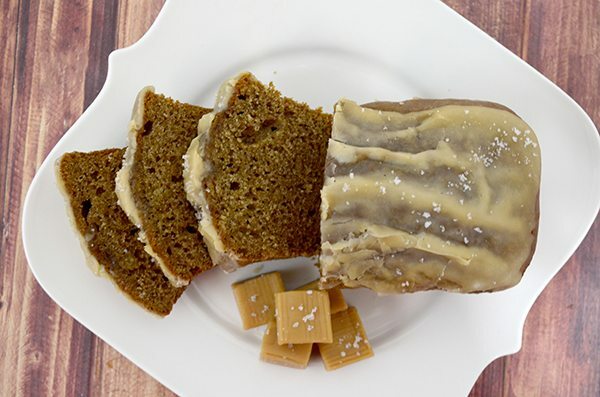 Topped with a Salted Caramel Glaze, this Salted Caramel Banana Bread is sure to be a family favorite after just one bite! Hey Y’All I am Laura and I blog over at Pink Cake Plate! I am so excited to be popping in on y’all every now and then! Today I have a recipe that uses one of my favorite flavors in the whole world! Salted Caramel! This Salted Caramel glazed Banana Bread is out of this world crazy good! 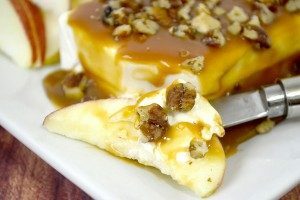 If you love bananas foster this has very similar flavors! I love an easy and delicious quick bread. 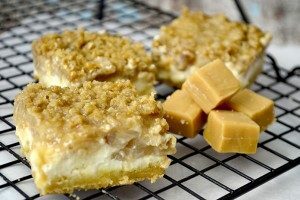 The addition of the Salted Caramel Glaze does make this recipe take a bit longer to prepare but I guarantee you it is worth all the extra time it takes to make this amazing salty sweet treat! This is perfect for a brunch or when your meeting with friends for a hot drink on a cool autumn morning. I love that you can use your overripe bananas in this bread and it freezes really well. I like making my quick breads in mini loaves and popping them in the freezer, then you have something ready in the time it takes to thaw the small loaves. This makes it perfect to have on hand all the time. It seems like as fall approaches we start making all kinds of delicious quick breads this one will be in my recipe box for a very long time!! 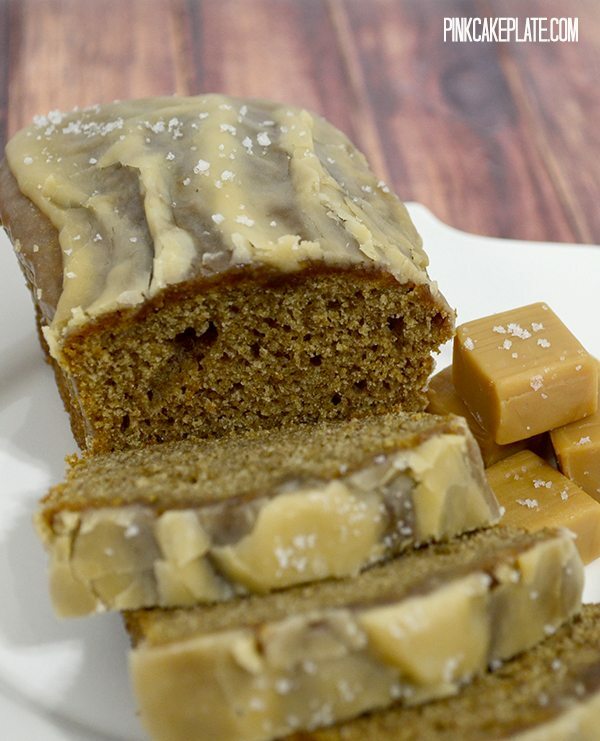 Now you don’t have to use my banana bread recipe if you have a family favorite for banana bread by all means use that one and top it with the Salted Caramel Glaze! That’s one way to improve on grandmas’ prized recipe! A perfect blend of salt and sweet with delicious banana flavor all wrapped up in a quick bread. Preheat oven to 325 degrees. Spray one 9x5 inch loaf pan with non-stick spray coating. Blend together the eggs, buttermilk, oil and bananas. Sift together the sugar, flour, baking soda and salt. Add to banana mixture and stir in pecans. Mix well. Pour into prepared loaf pan and bake 1 hour and 20 minutes or until a cake tester inserted in the center comes out clean. In small saucepan, heat 2 tablespoons butter and 1/4 cup brown sugar to boiling over medium heat, stirring constantly with whisk. Boil and stir 1 minute. Stir in whipping cream. Remove from heat; stir in powdered sugar and 1/4 teaspoon salt. Immediately drizzle over loaf (glaze will harden quickly). You can sprinkle additional fleur de sel or kosher salt on top of glaze. This recipe will make 4 mini loaves or 2 large loaves. 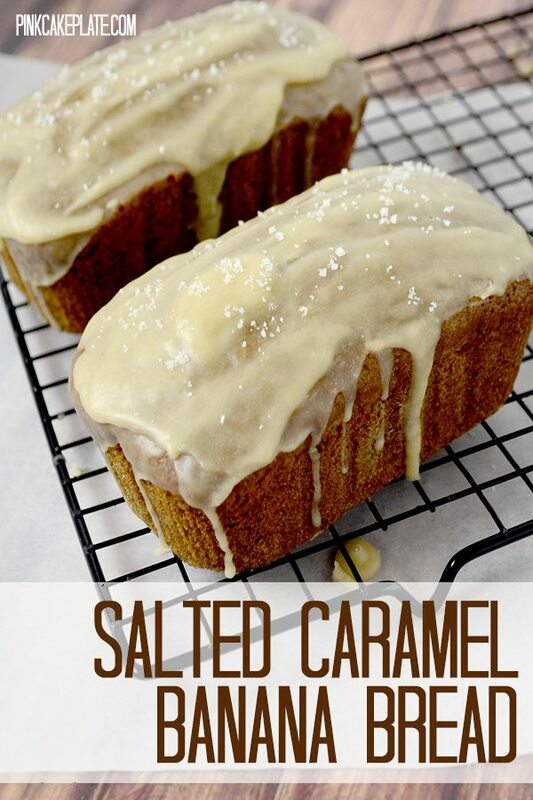 If you like Salted Caramel you might enjoy these recipes also! This looks absolutely wonderful! I was just wondering where the directions were for the Glaze, saw the ingredients, but not the directions for cooking it. New to your site, can’t wait to try your recipes! We’ve corrected the recipe, thanks for letting us know about the omission! Who doesn’t love banana bread- although the caramel, OH GOSH! YUM! Thanks for joining us at Delicious Dishes! !